For too long now I have neglected to give proper attention to the “wine” element of “winedinerepeat”. Despite this egregious oversight, I have in fact been actively consuming the stuff so as to further my understanding of it. Tasting away throughout these lovely sun filled months I have discovered that sparkling rosé was undoubtedly the beverage of the summer. Pink wines made a strong come back this year, and a welcome one at that. 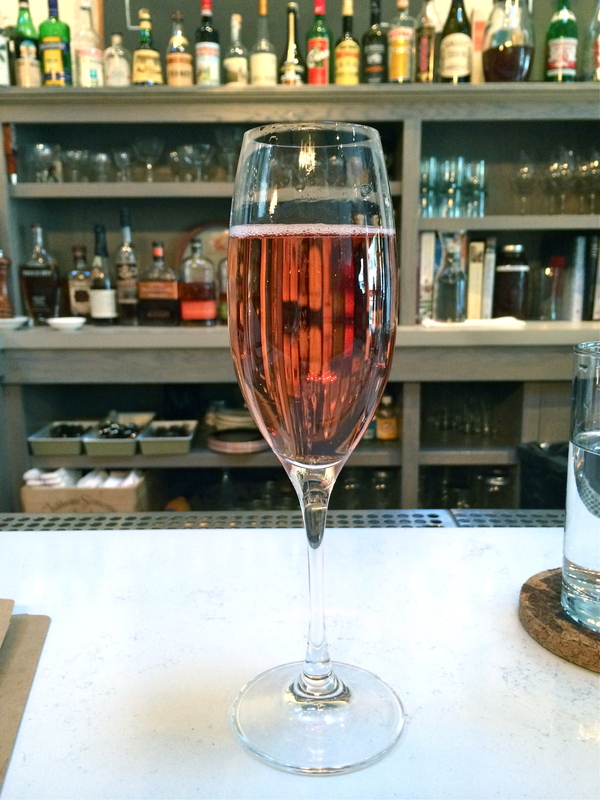 Too often people hear rosé and assume it must be a sweet wine…but that is not always the case. Particularly when they are bubbly. They can be sweet but they can also be dry and flavorful in totally unique ways. Never mind that their ability to accompany some of my favorite summer delicacies (namely seafood and carbs) is remarkable. The cool air is coming and with it will come the strong desires for hearty red wines and dazzling cocktails to keep us warm. So why not embrace these last few weeks of the season with something pink and sparkly? 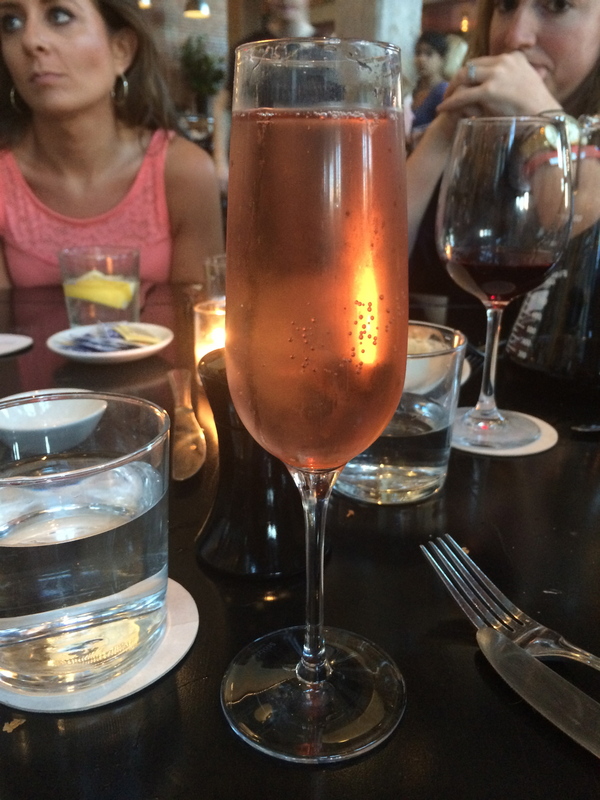 Nicolas Feuillatte Brut Rosé at Harvest Cambridge. 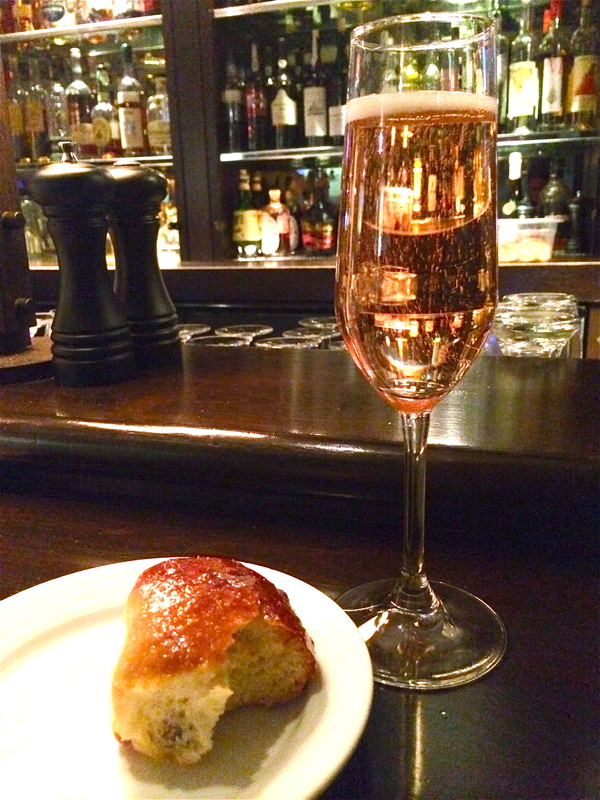 Paired with the city’s best bar bite: the bacon bun.